U.S. House Representative Luis Gutierrez has called upon U.S. President Barack Obama to extended temporary protected status (TPS) to Ecuadorans in the United States due to the previous earthquake that devastated the country and because Ecuador is working hard to rebuild the country. At this point, the Obama administration is studying the issue. The TPS is a designation that helps certain nationals from being deported from the United States due to a war or natural disaster that has affected their country. The designation is only temporary and can be renewed or canceled according to how sufficiently their country of origin is recovering. 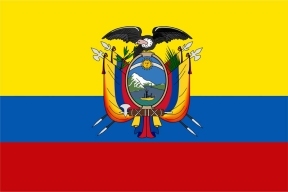 Currently there are 700,000 Ecuadoran nationals and Americans of Ecuadoran descent in the United States, and the devastation in Ecuador has affected that country’s ability to take back its nationals for whatever reason. This will not be a permanent phenomenon as Ecuador is doing what it can to rebuild. Sadly, there are those who argue against giving Ecuadorans TPS. One of those who oppose TPS for Ecuadorans is the Center for Immigration Studies, a spin-off of the anti-immigration group the Federation for American Immigration Reform. The Center for Immigration Studies believes that TPS has been “abused” in the past by other nations, and that the Ecuadoran government has not requested the United States for TPS because the current Ecuadoran government under Rafael Correa is “hostile” to the United States. This is a poor argument in my view. Shall we hold 700,000 Ecuadorans liable for the policy of their government? If a group of European nationals were given TPS, would the Center for Immigration Studies oppose this designation for refugees from a European country? In the not so distant past, the United States granted TPS to people from Kosovo and Bosnia. I heard no screaming from any anti-immigrant groups back then about people coming from these regions of the world. Apparently, it is the “whiteness” of the immigrant groups that seem to be acceptable to those who advocate much tougher immigration laws. But temporary protected status should be granted as a humanitarian mechanism for those people whose countries have suffered some kind of disaster—regardless of a people’s race or religion. In my view, people from Ecuador merit this designation.